Obituary for James Lyle Ward | Iseneker Funeral Home, Inc.
Monday, January 21, 2019 at his home, under the loving care of his family and Lewis County Hospice. The funeral will be at 12:00 noon on Saturday, January 26, 2019 at Iseneker Funeral Home, Inc., 5702 Waters Road, Lowville, with Pastor Evan Zehr officiating. A luncheon at the Lowville VFW will immediately follow the funeral service. Any donations of food may be taken directly to the VFW starting at 10:00 a.m. on Saturday morning. Calling hours are from 6:00 p.m. to 8:00 p.m. on Friday, January 25, 2019 and from 10:00 a.m. to 12:00 noon on Saturday, January 26, 2019 prior to the funeral service at the funeral home. Spring burial with Military Honors will be in Beaches Bridge Cemetery. In lieu of flowers, contributions may be made to Friends of Lewis County Hospice, P.O. Box 266, Lowville, NY 13367 or the American Cancer Society, 110 Lomond Ct., Utica, NY 13502. He is survived by his beloved wife of 67 years, Phyllis; two sons, Robert Ward and his companion, Pam Hill of Glenfield; and Alan Ward of Glenfield; a daughter and son-in-law Christina and Franklin Merry of Glenfield; 3 grandchildren, 9 great-grandchildren, 5 great-great-grandchildren and several cousins. He is predeceased by a daughter-in-law, Patricia Ward. James was born in Watertown, NY on March 4, 1930, the son of the late James H. and Anna Dosztan Ward. Jim attended country school in Watson and Lowville Academy. On December 5, 1951, he married Phyllis Smith at the Pine Grove Methodist Church. 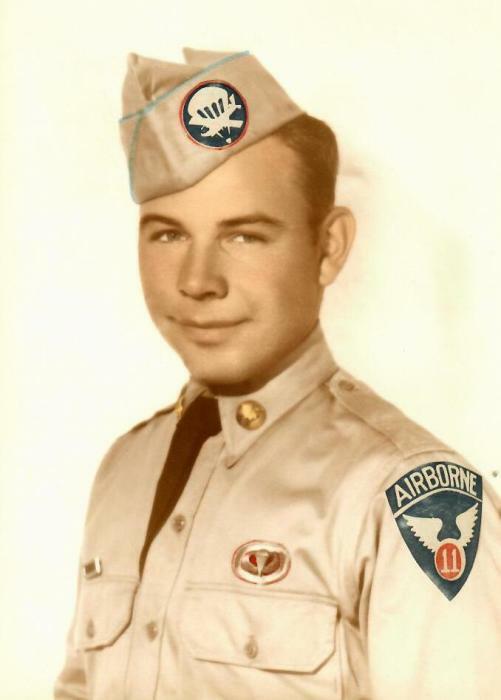 Jim served in the U.S. Army as a paratrooper from 1951-1953 and worked for the telephone company for 42 years. 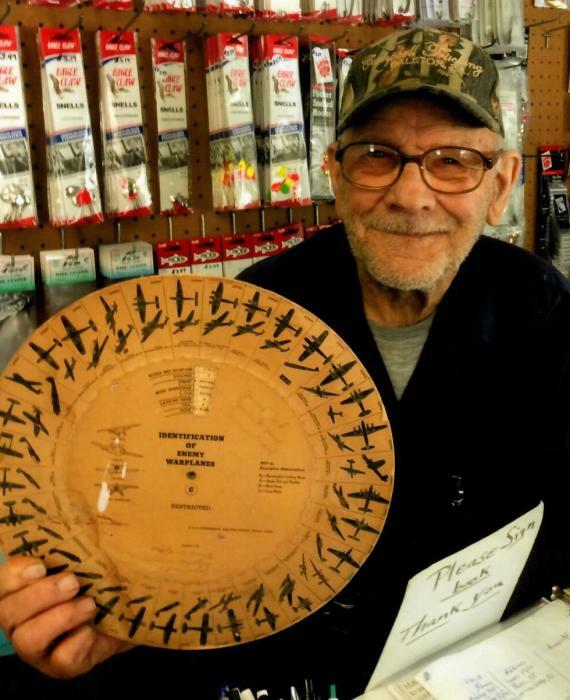 Together with his wife, the couple owned and operated the mud puppy bait shop since 1976. He was a member of Pine Grove Methodist Church. Jim a member of Beaver River Memorial Post #1663, Croghan Legion and was a life member of the New Bremen Fish & Game Club. He enjoyed fishing, hunting and telling stories and giving fishing tips.